We live on the planet Earth. It belongs to the solar system. Do you know, who the leader of the solar system is? Yes, you see it everyday. In fact, we begin every single day with it. Of course, it is the Sun. So, now what is this solar system and its relationship with our Earth and the Sun. Through this lesson we’re going to learn all about the solar system. When we learn about the solar system we should know about some terms. They are; stars, planets, axis, orbit, rotation, revolution, asteroids, meteors, comets, moon etc. So, be ready! Let’s know all about these. 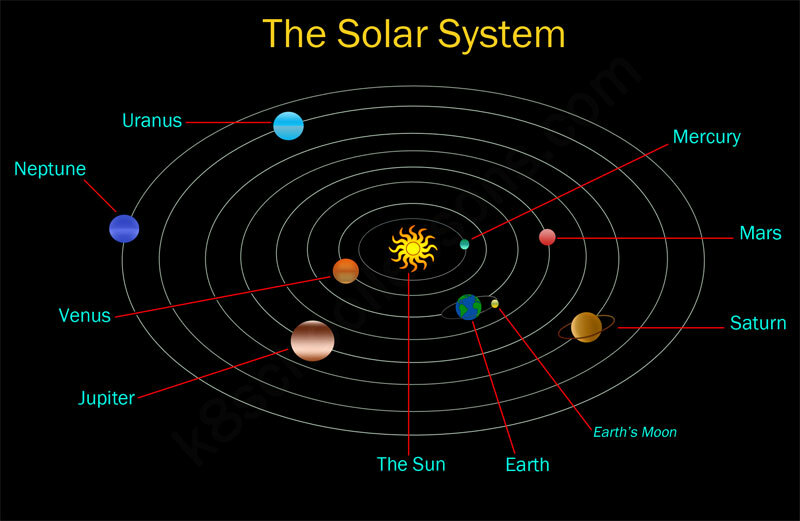 The Sun and everything that goes around it are called the solar system. What are the things that goes around or circling the Sun? Therefore, the solar system is the Sun and its eight planets that orbit round it, together with smaller bodies in the form of asteroids, meteoroids, and comets. Who is the leader of the solar system? What does the Sun provide for the rest of the solar system? A planet is an object in space that goes around the Sun. 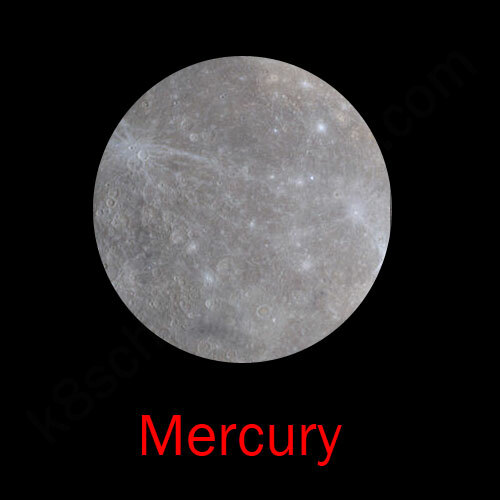 Mercury is the nearest planet to the Sun. It is the smallest and the fastest planet in the solar system. Venus is the second planet from the Sun. It is about the same size as Earth and easy to see from the Earth. 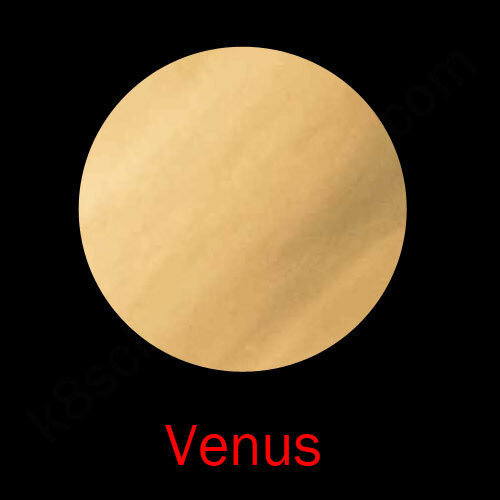 Venus is also called the ‘Morning star’ when it appears in the east at sunrise, and it is also called the ‘Evening star’ when it appears in the west at sunset. Earth is our planet. It’s the third planet from the Sun. It has only one moon. Earth is the only planet which has been discovered up to now, where life can exist. Mars is the forth planet from the Sun. It has two tiny moons. Mars is the easiest planet to see from the Earth. 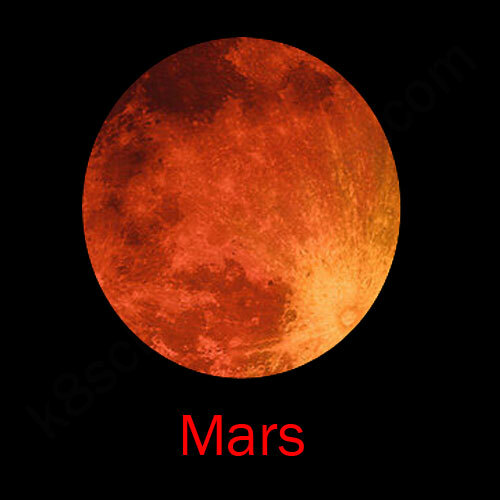 It is also called the ‘Red Planet’, because it appears fiery red in the night sky. The red areas which we can see in the Mars are cold, sand less, rocky deserts. Mars has got the highest known mountain in the solar system called Olympus Mountain. 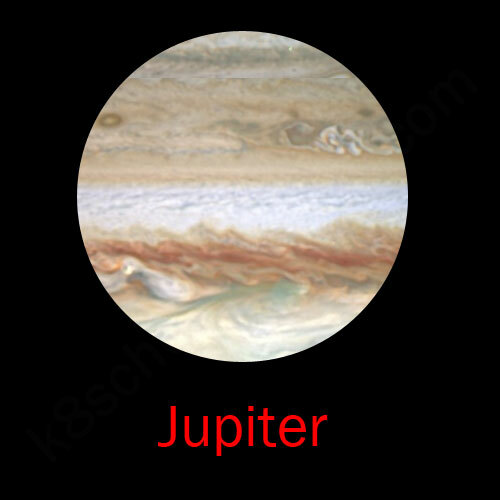 Jupiter is the fifth planet from the Sun. It is the largest planet in the solar system. Jupiter has at least 63 moons. 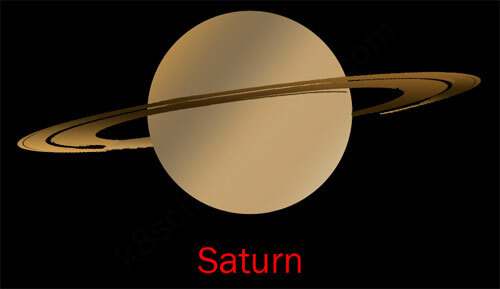 Saturn is the sixth planet from the Sun. It is the second largest planet in the solar system. Saturn has few rings around it, and this is the special feature of Saturn. Saturn has 47 moons. 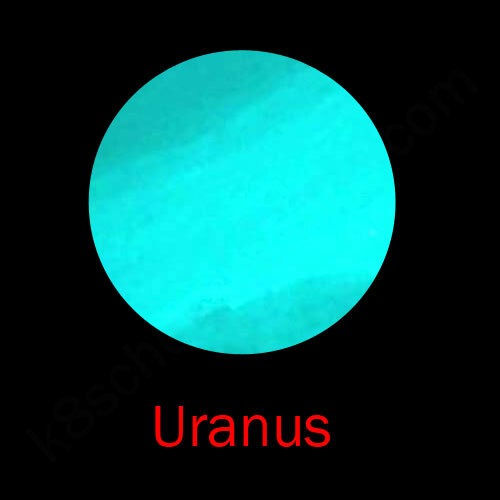 Uranus is the seventh planet from the Sun. It is the third largest planet in the solar system. Uranus has at least 27 moons. 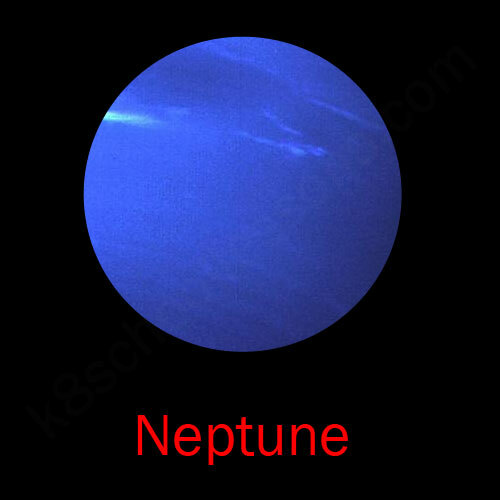 Neptune is the eighth planet from the Sun. It is the forth largest planet in the solar system. Neptune has 13 moons. 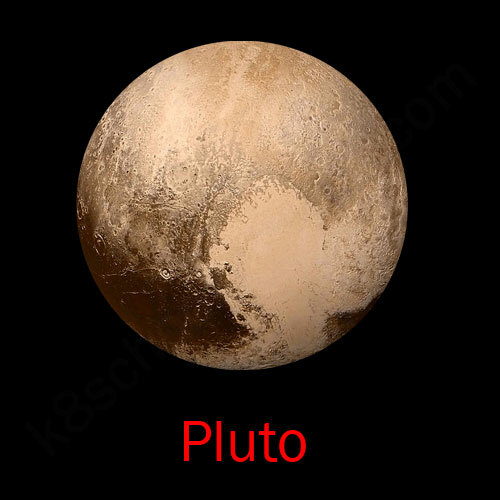 Pluto has once been considered the ninth planet of the Solar system, the outermost (furthest) from the solar system. But it is just a dwarf planet. Pluto is about the same size as mercury. It has 3 moons. What are the hottest and coldest planets? 1) The planets nearest to the Sun are much too hot to live on. 2) The planets far away from the Sun are too cold to live on. Can planets emit (produce or release) light of their own like stars? No, they can’t. Planets can’t produce their own light like stars and twinkle. Planets only can reflect the Sun’s light. They are shining with a steady light in the night sky by reflected sunlight. What is the ‘axis’ of a planet? The axis is an imaginary line that runs through the centre of a planet. A planet rotates or spins on its own axis. What is meant by ‘Earth’s rotation’? The spinning (turning) of a planet on its own axis is called rotation. 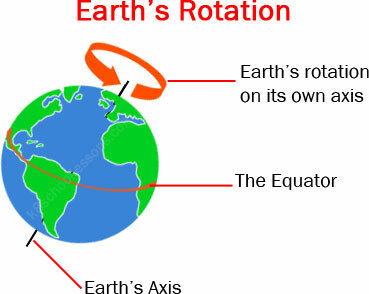 So, the spinning of the Earth on its own axis is called Earth’s rotation. What is meant by ‘Earth’s revolution’? 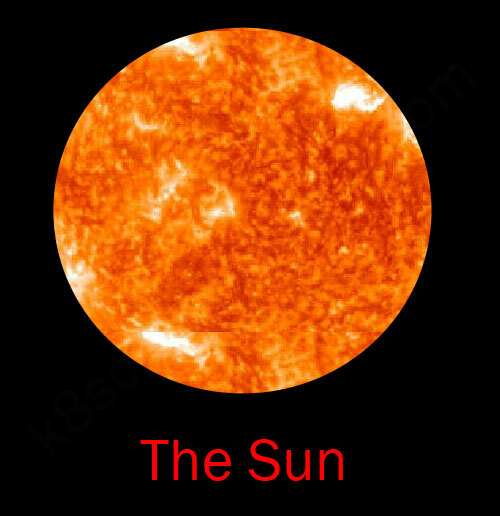 As a planet rotates on its own axis, it moves around the Sun (revolves around the Sun). This movement around the Sun is called revolution. 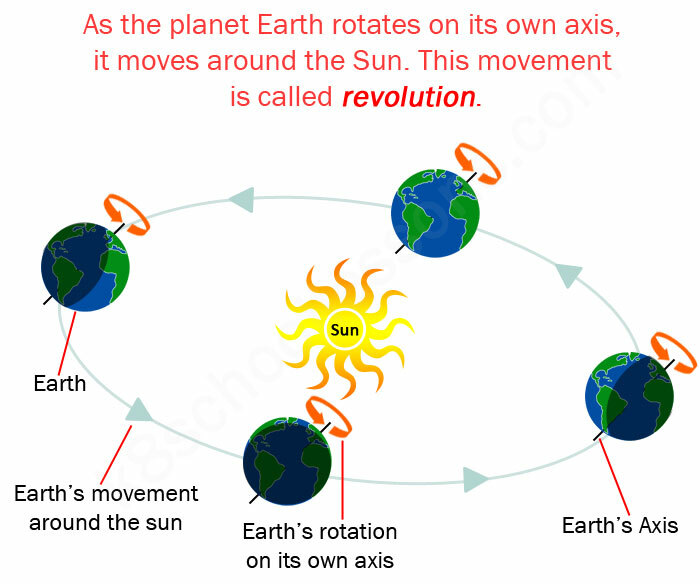 So, the Earth’s movement around the Sun is called Earth’s revolution. 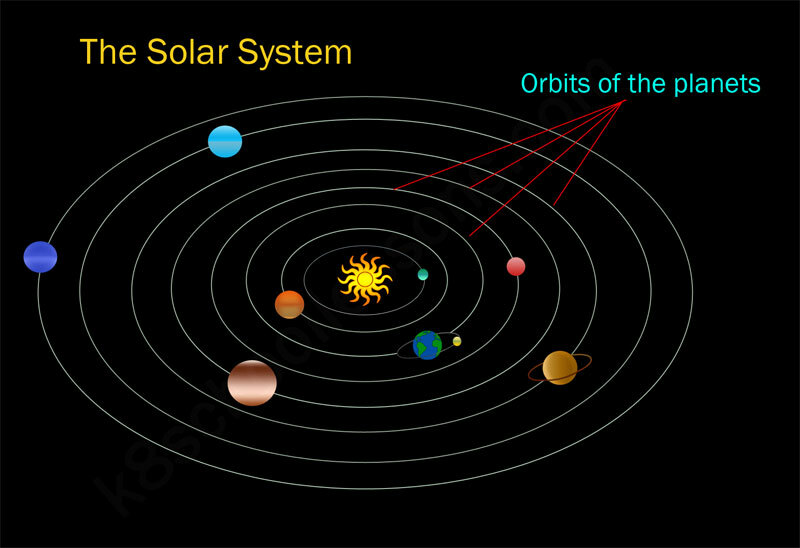 The path which the planets move around the Sun is called the orbit. This orbit takes the shape of an ellipse (oval/ shaped like an egg). The orbits shown in the images of the solar systems are imaginary lines, drawn just to show the shape of the orbits of planets around the sun. Why the planets don’t fall off or fly away into space? A strong gravitational pull of the Sun holds Earth and the other planets in the solar system in orbit. Therefore Earth and the other planets don’t fall off or fly away into space. Each planet takes a different length of time to orbit the Sun once (go around the Sun once). This length of time is called a year. E.g. 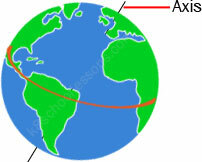 – 1) Earth takes 365 days to orbit the Sun once (go around the Sun once). Therefore a year on Earth is 365 days. 2) Mercury takes 88 Earth days to orbit the Sun once (go around the Sun once). Therefore a year on Mercury is 88 Earth days. 3) Pluto takes nearly 248 Earth years to orbit the Sun once (go around the Sun once). Therefore a year on Pluto is 248 Earth years. Each planet takes a different length of time to rotate on its own axis once. This length of time is called a day. E.g. 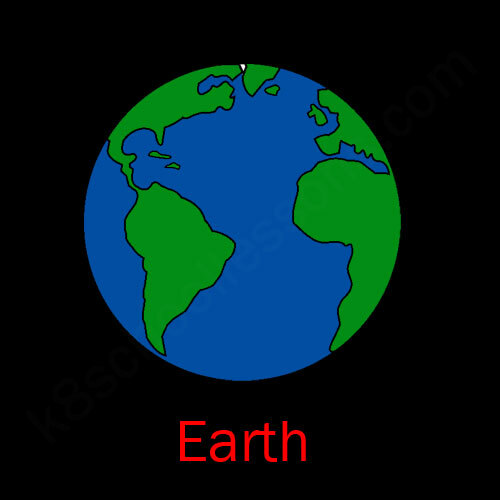 – Earth takes 24 hours to rotate on its own axis once. Therefore a day on Earth is 24 hours. Asteroids are smaller or minor planets which orbit the Sun. 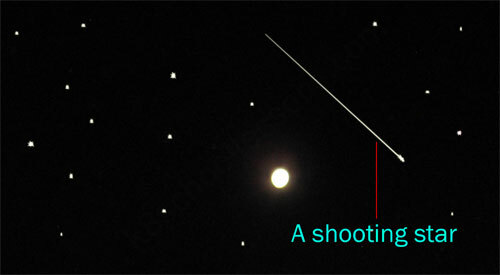 Sometimes meteors enter the Earth’s atmosphere and form streaks (lines or strips) of light in the night sky as they burn up. These are called shooting stars. Comets are glowing spheres of gas and dust. 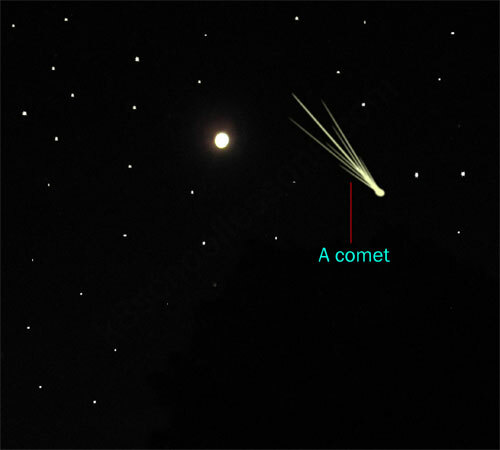 What is the special feature of comets? They have long, streaming tails of light. Scientists still don’t know where comets come from. Some believe that comets are left over from when the solar system was formed.